Totalcar Magazine - Features - Who cares about the Merc’s door handle? Who cares about the Merc’s door handle? I don’t, sure as hell. I do care about however – and you should do too – about the person who gave us the answer. Person? No, make that Legend. You may remember the story I told you the other day about the sleepless nights that the door handle of the Fintail gave to some people. If you don't remember, or what's worse, you didn't read it, shame on you ( and may the curse upon you to be a lifetime owner of a pink Pontiac Aztek), ...or you can just simply read the original article. Now that you're through with it, I'll tell the story anyway. When I did a review of a 1967 Mercedes-Benz 200 D ‘Fintail', we were already an hour into the photo shoot, when the owner pointed out to me that the door handle in the back is higher than the one in the front. 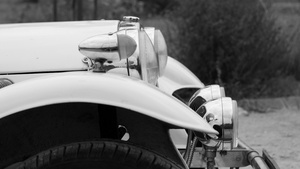 Because of the elegant and harmonic design of the car, nobody seems to notice it. I just pointed it out in the article, and after I handed it in, I received a rather disturbing phone call. At 9:30 P. M. From my boss. My grumpy boss. Asking me why. It's one of those questions that you just don't ask. This detail clearly doesn't have any functionality, which probably means that it's part of the design. Now, that is a matter of aesthetics, which is a rather subjective territory, reflecting the taste and vision of a long-gone designer genius. Be that as it may, I was given an assignment. After turning the internet inside-out and upside-down, obviously coming up with squat, I decided to pass my frustration over to the makers of this brilliant car. 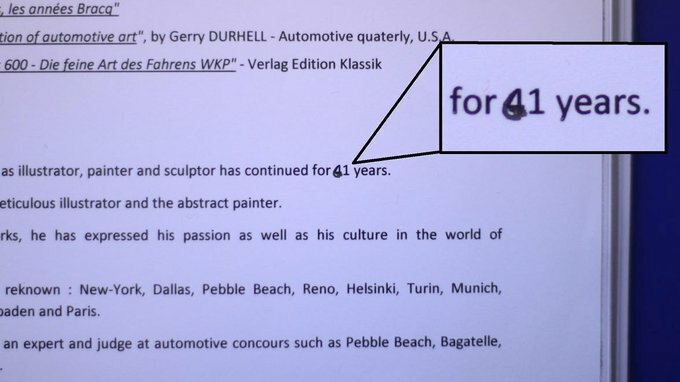 So I contacted Dr. Nils Beckmann, who, besides being the brand manager of the Mercedes-Benz Classic Center at the time, was also the author of multiple publications on Fintails. I was relieved when I got through to him, since if there was anyone who had access to the original blueprints, and got the level expertise to understand them, it would be him, and I couldn't think of anyone more suited for answering this really, I mean, really important question. Maybe one person: Karl Wilfert, but he passed away decades ago. Thank you very much for your e-mail and your kind telephone call. After doing extensive research on the design of the Mercedes-Benz 110 series we are very sorry to inform you that we could not find any hints why our designers decided to fix the door handles of the back-doors higher than the ones of the front doors. May we ask you if you have already checked the Daimler Global Media Site ? Oh well, back to the drawing board. One with a clearly annoyed boss leaning over it. But all was not lost, since I had an idea. There was still one man who could help. A man who I was a fan of long before I could properly read or write, long before I actually knew his name. There are cars with look so great that they got stuck in the back of my head ever since I saw them. The Rolling Reichstag, the Mercedes W100. The brilliant little BMW E21. The Mercedes that defined an era and probably the very best that ever left Stuttgart: the W114/W115. Or one of the most beautiful grand tourers ever made: the E24 BMW 6-series. Can you see the connection? No? 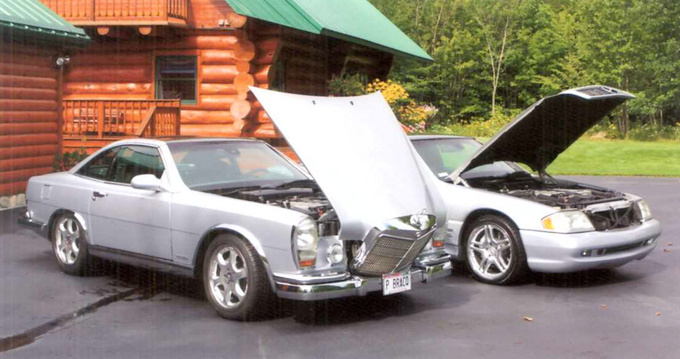 A bit of extra help: Mercedes-Benz W108/109 and E23 BMW 7-series. I could go on and on, but probably you have already guessed the name. 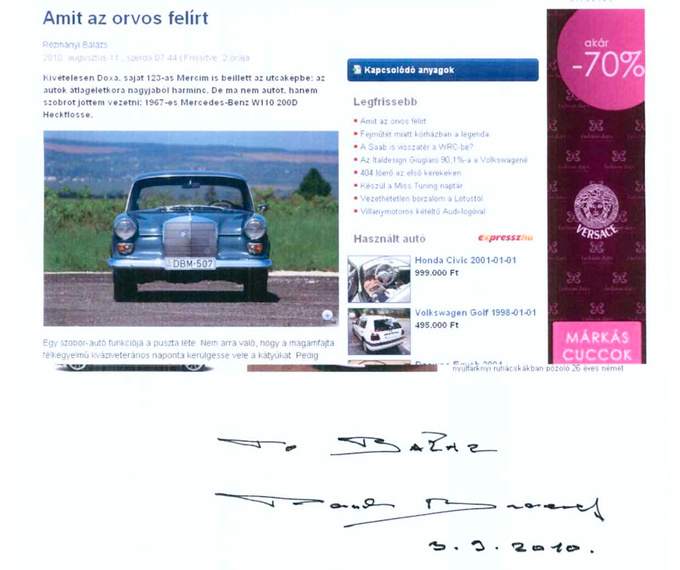 The person to whom I turned was the one who actually defined the looks of two great rivals, and was around Mercedes-Benz at the time when the W110 was put on paper. 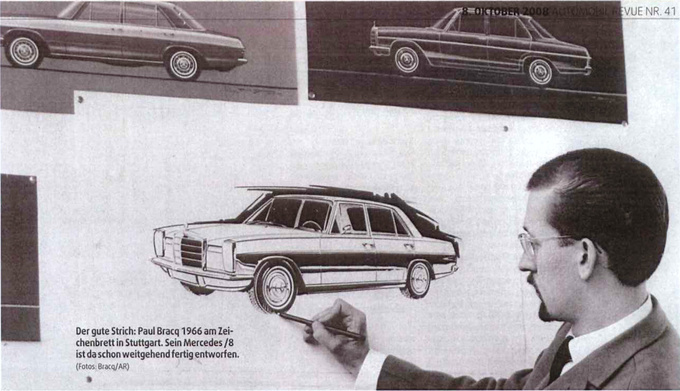 He was the head of the design studio in Sindelfingen for ten years. 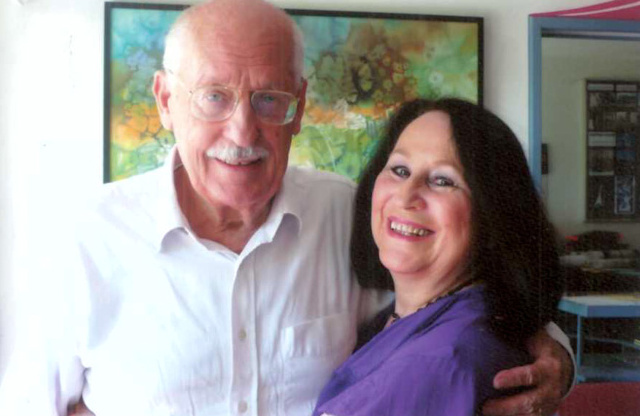 The man I called for help was Paul Bracq. For the younger members of the pimp my ride generation: take the likes of Chris Bangle and Chip Foose, add them, multiply by ten, and you are still far behind. 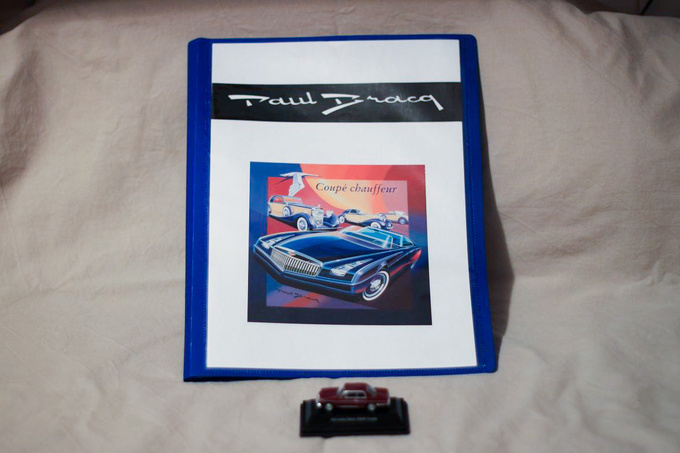 Paul Bracq is at such atmospheric heights where only a selected few can breathe: Farina, Frua, Giacosa or Giugiaro. And when he's not working, he's explaining halfwit journalists the design-logic of drawing door handles...over the phone... Yes Sir, I called him up. Let's not get into how I got his number, but when he picked up the phone, I froze the way only the newest version of Windows can. Instead of behaving like a hard-nosed journalist, I started talking like a caffeine-addict schoolboy, repeating over and over how much I love his work. After some minutes, he interrupted me, and told me that he is working seven hours to this day, still painting, still designing. After asking him about his latest works, I raised the dreaded question of the door handles. His reaction was rather unexpected: he started to laugh. He noted, that it had been quite some time ago and went into telling me stories about Chevys, proportions and harmony in design. I have to admit that since my head was already overloaded with information and I also had to bear the weight of the experience, I started losing the plot after a while. Because of that, and the fact that probably nobody would believe that the conversation ever took place other than in my imagination, I asked him if he could drop me an e-mail with the explanation. “But young man,” he said, “I don't use e-mails. If you want the answer, write me a letter.” Should come as no surprise that an hour later, I was already standing in line at the post office. If God help me, I would like to be creative to the last moment to give beauty and dreaming to the automotive world connosieur! 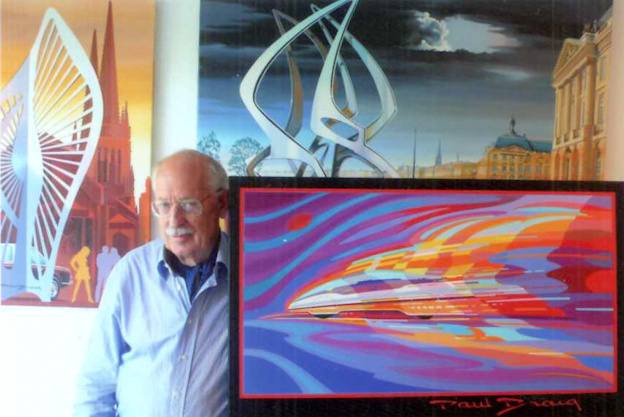 Paul Bracq's prolific career as an illustrator, painter and sculptor has continued for 41 years. As you notice, he corrected the number 41 to 61. For him, you see, his career has never ended. He is still working hard to create and to give. But it seems that, like with so many other things we cherished so much in the automotive world, he is pushed aside in the name of some kind of questionable progress. He represents a bygone era, when those wonderful and beloved machines were not built, but created, by engineers and artists working hand in hand. When they counted and calculated with their creative minds and passionate hearts, and not with computers and budget cuts. He is one of the last legends of that era. And if my short career as a journalist should end here, I would not shed a tear, because I had the privilege of talking with him. And I also have a cherished artifact to remember this experience. Thank you for your letter about the funny question why was the door handle higher on the back door than on the front door. My answer is that by Mercedes Design Studio it was always a continuous to search that every line placed in perfect proportion. This is a good example how the rear door handle well placed between the rear fender chrome and the side horizontal line to find right balance on the rear fender surface. So there you have it, mystery solved. And thanks to his answer, and his kind gift, Tibby can now sleep in peace.